The Academy of Motion is specially designed to retrain, reshape and redesign your body, while pushing your strength and endurance to the next level. It’s perfect for anyone who is looking to shift their mindset and transform their body from the inside out. Over the course of the 5 weeks we will aim to exceed your physical fitness expectations by making you commit to a lifestyle that is optimal to physical performance and to create a new body you live in. This 5 week program is designed to make you achieve real results in a short space of time. It will challenge you to keep attending our training sessions regularly and to follow healthy and balanced eating habits. The Academy of Motion is ideally suited for those who want to lose body fat, increase lean muscle mass and significantly change their body shape. Apart from the visual benefits you achieve you will also develop a new outlook on food, exercise and a new understanding of what you are physically capable of. Throughout the 5 weeks your trainers will have 100% commitment towards helping you reach your health and fitness goals. The exercise and intensity of the entire program does vary from person to person, so whatever your level of fitness you begin with we will develop a program truly specific to you. There is a significant time commitment and a lifestyle change this program requires. If you are up for a challenge and have a true desire to change then the 5 Week Transformation is for you. As part of the 5 weeks you will receive a unlimited training sessions at our indoor fitness studio. There are no more than 9 people in each challenge so you will get the attention you need in our fun, safe, and supportive classes. 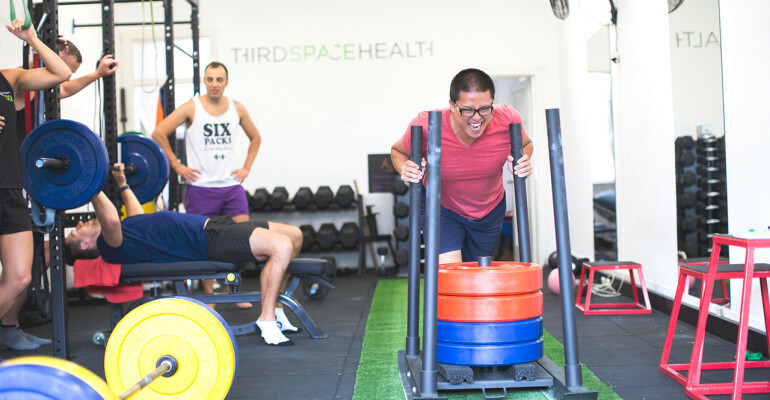 We have helped coach hundreds of Bondi locals to achieve amazing results changing their body and life in only 5 weeks. This fitness challenge is the fastest way to change your current body into the body you have always wanted. In as little as 5 weeks you can literally transform your physique to a level you never thought possible! Save your spot for our next 5 week challenge. It’s coming up real soon and we only intake 9 people! Complete the form below and we’ll send more information about next 5 week challenge.